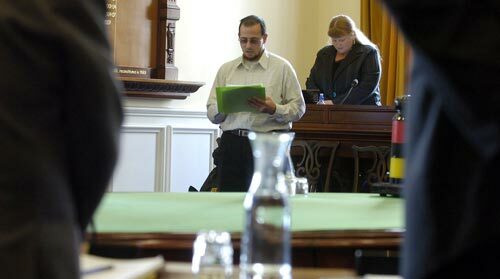 Imam Shaikh Jamal of Dunedin's Al Huda mosque recites the opening prayer at a Dunedin City Council meeting in 2008. The council began inviting leaders of diverse religions to offer opening prayers during the term of office of Mayor Sukhi Turner, a Sikh. Since then prayers have been given by Buddhists, Hindus and members of the Greek Orthodox Church. Mayor Peter Chin said in 2008 that involving a wider group of religions had worked well and benefited the community.